These are the names given to the pieces of embroidery that separate the sections - we have applied a few rules. The bars are used to separate the sections of the border. 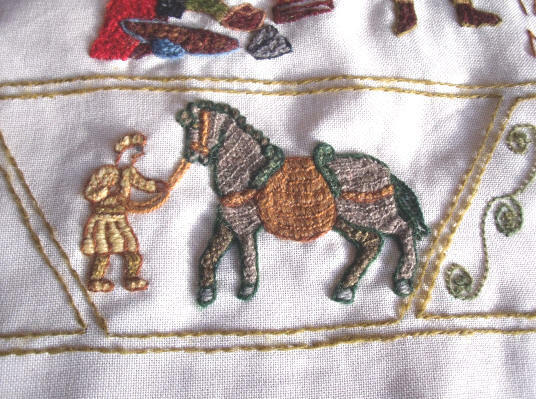 There are no fixed rules but the design has used them in a reasonably consistent way (unlike the Bayeux Tapestry). 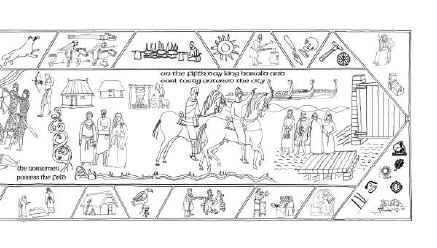 They attempt to bring a focus to the images below in the central panel. The use of the bars is however constrained by the shape of the images they surround. The design provides a simple bar to mark where they are to be placed. However, the embroiderers are free to design the bars or add a double bar if the space permits. 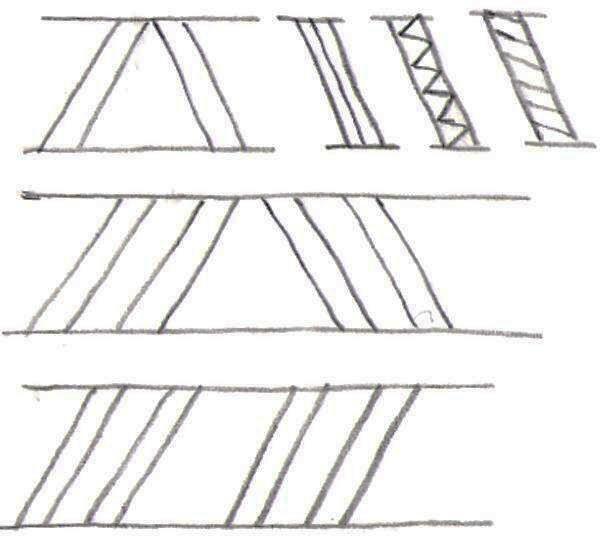 The bars themselves can be embellished and designs can be incorporated between double bars and surrounding single bars. When opposing bars meet. They are referred to as ‘tents’. There is scope to incorporate personal initials or icons into these embellishments. 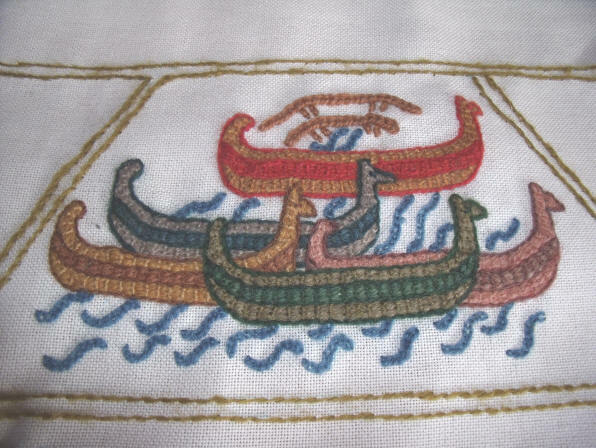 The only constraint is that these should be made with the outline stitch but very small areas of laid work are acceptable. The embellishments should also respect the space of the adjacent action. Please personalise these! But be subtle.